Click on the direct link given above or Click on official website www.upsc.gov.in. 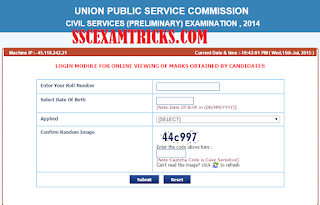 Click on 'Marks - Civil Services (Preliminary) Exam 2014' link. Enter your roll number and date of birth (DD/ MM/ YYYY). Select the post applied in the drop down list. Confirm the random image in the blank box given at the bottom of the page. 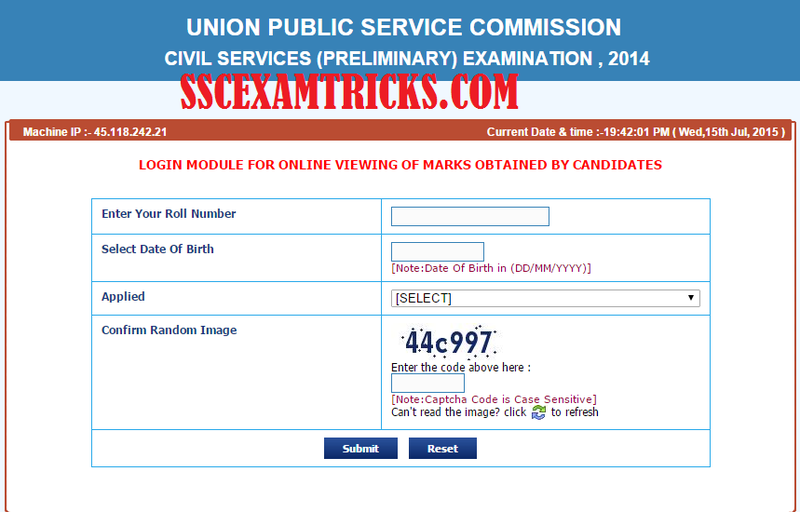 Your UPSC CS Pre-Exam Scorecard 2014 will be displayed on the screen. 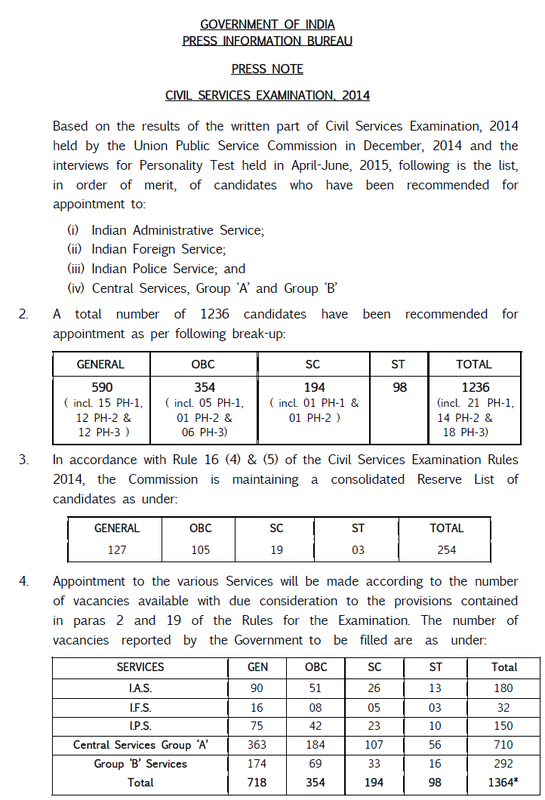 UPSC Civil Services Final Result 2015 Declared: The latest news is that UPSC is going to release Final Result of shortlisted candidates called for personality test which was held from 27th April 2015 at the Office of the Union Public Service Commission at Dholpur House, Shahjahan Road, New Delhi-110069. 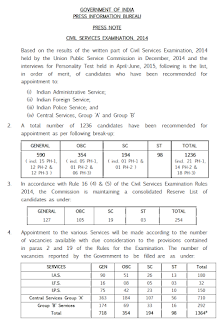 Earlier Union Public Service Commission (UPSC) had released Main Exam Result on 12th April 2015 on official website of Civil Services. The Main Examination was held from 14th to 20th December 2014 at various centres in all over the country for selection to the Indian Administrative Service, Indian Foreign Service, Indian Police Service and other Central Services (Group ‘A’ and Group ‘B’). Those candidates who had attended interview and waiting for their Final Result, they can download Final Result from the direct link provided below whenever it gets announced by UPSC. · Venue of Interview - Office of the Union Public Service Commission at Dholpur House, Shahjahan Road, New Delhi-110069.